Lori Shontz specializes in the teaching of core writing and reporting skills. She co-directs Writing Central, the SOJC’s peer writing support program, and she is a leader nationally in the teaching of engaged journalism, which creates ways to strengthen connections between journalists and the communities they cover for the greater civic good. In 2018, MediaShift named her one of the 20 top innovators in journalism education. She also uses her background as a sports journalist to teach a class in advanced sports beat reporting in which students cover all of the track and field meets at Hayward Field, including the 2016 Olympic trials. Her students’ work has been published in more than 30 professional publications since 2015. Shontz came to academia after more than two decades as a writer and editor specializing in sports, women’s issues, and higher education. She has reported from Kenya, Cuba, 10 Final Fours (women’s and men’s), and four Olympic Games. She has also organized coverage of events including the Olympics and the BCS title game. She worked at The Miami Herald; the St. Louis Post-Dispatch; her hometown Pittsburgh Post-Gazette; The Times Leader in Wilkes-Barre, Pennsylvania; and the Progress-Index in Petersburg, Virginia. And at The Penn Stater alumni magazine, she was part of a team that received awards for its in-depth and unflinching coverage of the Jerry Sandusky scandal. Shontz graduated Phi Beta Kappa from Penn State in 1991 with a BA in English writing and a minor in sport history, and she wrote her senior honors thesis on the development of women’s varsity sport. In 2013, she completed an MEd in adult education at Penn State, where she researched organizational change and professional development in journalism. She is the faculty adviser for the student chapter of the Association for Women in Sports Media, a board member at Journalism That Matters, and a steering committee member for Gather, a community of practice for engaged journalists. 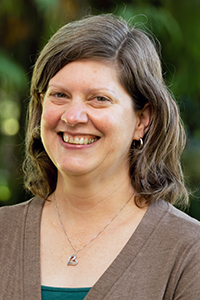 She is also a member of the the University of Oregon's Provost's Teaching Academy. "Journalists should use caution when reporting on new shooting details,” Poynter, October 2018. Why we need to teach more business skills in the j-school classroom,” MediaShift, November 2017. "Practicing what we preach: Teaching engagement in j-schools means listening to our students,” Gather, August 2017. “Every day a struggle, every day a gift,” profile of football star Curt Warner and his autistic twins, The Penn Stater alumni magazine, November/December 2018. “New track meet turns pro running into a team sport,” Runner’s World Online, August 2016.